From acclaimed filmmaker Guillermo del Toro comes Warner Bros. Pictures’ and Legendary Pictures’ epic sci-fi action adventure “Pacific Rim.” When legions of monstrous creatures, known as Kaiju, started rising from the sea, a war began that would take millions of lives and consume humanity’s resources for years on end. To combat the giant Kaiju, a special type of weapon was devised: massive robots, called Jaegers, which are controlled simultaneously by two pilots whose minds are locked in a neural bridge. But even the Jaegers are proving nearly defenseless in the face of the relentless Kaiju. On the verge of defeat, the forces defending mankind have no choice but to turn to two unlikely heroes-a washed up former pilot (Charlie Hunnam) and an untested trainee (Rinko Kikuchi)-who are teamed to drive a legendary but seemingly obsolete Jaeger from the past. Together, they stand as mankind’s last hope against the mounting apocalypse. 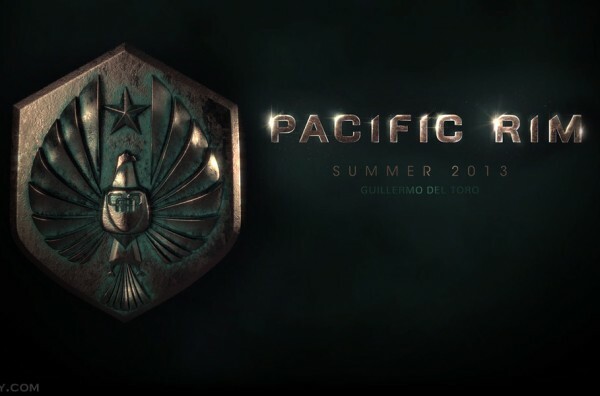 Oscar® nominee Guillermo del Toro (“Pan’s Labyrinth”) is directing “Pacific Rim” from a script by Travis Beacham (“Clash of the Titans”). Thomas Tull, Jon Jashni and Mary Parent are producing, with Callum Greene serving as executive producer. The film stars Charlie Hunnam (TV’s “Sons of Anarchy”), Idris Elba (“Thor”), Rinko Kikuchi (“The Brothers Bloom”), Charlie Day (“Horrible Bosses”), and Ron Perlman (the “Hellboy” films). The ensemble cast also includes Max Martini, Robert Kazinsky, Clifton Collins, Jr., Burn Gorman, Larry Joe Campbell, Diego Klattenhoff, and Brad William Henke. I just hope there will be some footage of this at Comic Con this year. This entry was posted on Wednesday, May 23rd, 2012 at 9:34 pm	and is filed under Film, News. You can follow any responses to this entry through the RSS 2.0 feed. You can skip to the end and leave a response. Pinging is currently not allowed. « Bryan Reviews ‘Men In Black 3’!! !